Releasing to iTunes Tuesday, February 7th, “Under Your Spell” was inspired by Davis’ most recent ex, a man he was on-and- off with since 2014. It was written during the early stages of the relationship when everything was warm and tingly and their future seemed bright. “I’m a Leo, so when I fall for someone, I envision it lasting forever,” he admits. The excitement is reflected in the song’s music video, directed by Derrick Lipschitz and filmed at the DCXV “Heiroglitches” mural by Nashville artist Adrien Saporti. 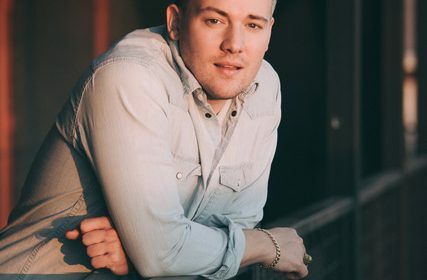 Starring Ashley Saggs and William Harris III as the joyously unrestrained couple in love, the video, releasing with the single, depicts the story of a relationship taking off. In the mist of their wild exuberance, the video cuts to dreamboat Davis crooning how “in this little world of ours, you are the sun the stars”. “The entire EP was written during my relationship’s climb and fall,” explains Davis of LOUD, releasing April 25, 2017. Two remixes of “Loud” will be included on the EP. The first, by Miami-based producer Landis, will be released later this month by Armada Records. The second remix is by Los Angeles-based producer BPT. Born and raised in Marietta, GA, Davis was surrounded by a musical family and grew up singing in his church choir. His uncle John Mallory wrote songs for Sixpence None the Richer and Wynona Judd. His uncle Chaz Corzine managed artists Amy Grant, The Civil Wars’ Joy Williams and Michael W. Smith. In addition to appearing on MTV’s The Real World and MTV’s The Challenge, Davis was a music news correspondent for MTV’s NewNowNext.com, curating playlists, reviewing live shows, promoting new music and interviewing artists including Ellie Goulding, Janelle Monae and NERVO. He also worked in A&R and promotion for Astralwerks Records (UMG/Capitol), engaging campaigns for David Guetta, Swedish House Mafia, Empire of the Sun, Kylie Minogue, NERVO, and Kraftwerk, among others. While at Astralwerks, Davis began training as a DJ, making his debut at the legendary nightclub Pacha. He also began to dabble in songwriting. 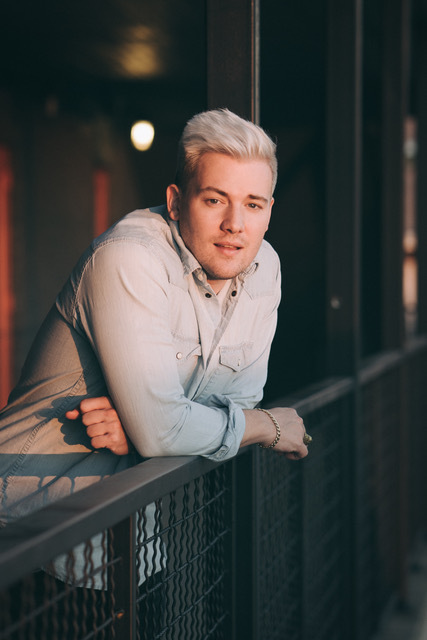 In 2013, Davis moved to Nashville to focus solely on songwriting and recording music. From 2015 through 2016, he wrote over 130 songs. He selected those he felt were the most homogenous to create his debut EP, LOUD. Davis Mallory’s “Under Your Spell” releases to iTunes Tuesday, February 7, 2017. The LOUD EP releases to iTunes April 25, 2017. For more information, visit DavisMallory.com.